MH CET 2019 Application Form has been started. It is a state level entrance exam is conducted by the Government of Maharashtra, State Common Entrance Test Cell. This exam is a gateway to get admission in Engineering, Pharmacy and Pharm. D courses. It is also known as MHT CET, through which candidates can get admission in various government and private institutions of the state of Maharashtra. In this article, candidates can get all the information of about MH CET 2019. Candidates can get the MHT CET exam date from the table given below. Candidates can read the complete information brochure of MH CET 2019 to fill the application form. The applications will be invited from the eligible candidates through the online mode. It is necessary for the candidate to register or confirm the online application form from the candidate login by visiting the website. Candidates can register either through Aadhar card or without Aadhar card. The MH CET application form 2019 has been started from 1st January 2019. The online application form can be filed till 31st March 2019. Candidates can also make correction after the dates announced by the officials. Candidates have to provide all the details carefully and upload the scanned images of recent photograph and signature. Q. Is MHT CET 2019 going to be conducted in online mode or not? Ans: Yes, DTE Maharashtra has announced that MHT CET 2019 will be conducted as a Computer Based Test. Ans: No, there is no age limit for MHT CET 2019. Q. How much marks do I need to score to be eligible for MHT CET 2019? Ans: You will be required to secure minimum 50% (45% if you belong to SC/ST/OBC category) in 12th standard (or equivalent) examination. Q. Will the application form be available only in online mode? Ans: Yes, the candidates will be able to apply for MHT CET 2019 only in online mode. No other mode of applications will be available. Ans: The application fee can be paid through credit/debit card (RuPay/Visa/MasterCard/Maestro), IMPS, Netbanking, Cash cards/mobile wallets. Payment can also be through challan. Q. How will the exam centres be allotted? Ans: The exam centres will be allotted to candidates from Maharashtra within the same district from where they have passed or will be appearing in their qualifying exam, however, candidates from outside Maharashtra will be able to choose their choice of exam centre. Q. Is there any negative marking for MHT CET 2019? Ans: No, there is no negative marking for MHT CET 2019. Q. 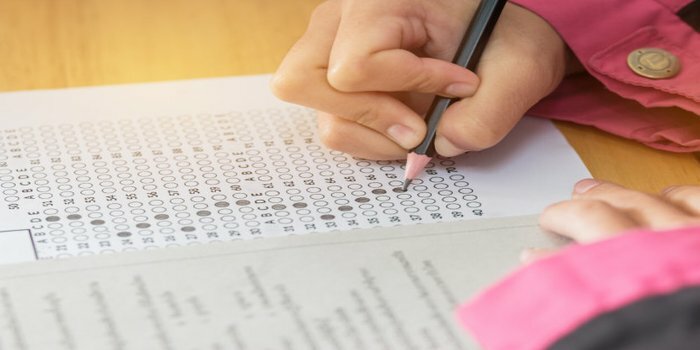 What is the division of weightage of marks in MHT CET 2019? Ans: In MHT CET 2019, approximately, 20% weightage will be given to 11th standard syllabus and 80% to 12th standard syllabus while setting the question paper. Q. Do we have to study the entire syllabus of MHT CET 2019? Ans: Selective topics and units from 11th standard have to be studied. The list of topics to be studied from 11th standard syllabus has been released by the authorities. Q. How will I be able to access my admit card? Ans: If you have successfully registered, then you will be able to download the generated admit card in online mode after submitting your application number and password. Q. Will the answer key be released? Ans: Yes, the answer key will be released by the DTE Maharashtra authorities along with some coaching institutes. Q. How can I check my secured scores in the examination? Ans: The result will be declared in online mode and the scores secured by you will be present in the form of scorecard. Q. How will the counselling of MHT CET 2019 be conducted? Ans: A centralized counselling process (CAP) will be conducted by the authorities for seat allotment. Allotment of seats will be done as per preference, rank, category and availability of seats. Q. My CBSE result is declared, however, I do not have the Original Marksheet. I have downloaded the result from the CBSE website. Shall it be accepted? Ans: Yes. The result will later be verified by the Facilitation Center officer from the Official Website of the concerned International / Central/ State Board. Q. If I appear for MHT-CET 2019 as well as JEE(Main) Paper I. Should I fill two separate form for Maharashtra Quota and All India Quota? Ans: No. You will have to enter the scores of the JEE(Main) in a single application form and do not fill separate application. Q. I will appear for State CET as well as JEE(Main). I belong to Maharashtra State Candidature Type A Candidate. Is it mandatory to fill JEE Details? Ans: The allotment for All India Quota will be on the basis of score in JEE(Main) Paper 1. Hence to also get a seat in All India quota, fill the JEE details. Ans: No, you will be required to come to the FC Center for Document Verification. The applications received by Post/Courier will not be processed. Qualifying Exam: Candidates should pass HSC/12th or equivalent examination from a recognized board. Appearing: Candidates, those are in the final year of qualifying exam can also apply. Age Limit: There is no age limit for appearing & admission to MHT CET 2019. Candidates who have Indian Nationality are eligible under this category. Candidates can claim only one type of Maharashtra State Candidature Type which is given below from Type A to E.
Candidates, those pass 10th & also 12th or Diploma in Engineering or B.Sc examination from a recognized institution in Maharashtra state. Candidates, those have a domicile of Maharashtra or born in Maharashtra. Candidates, those not fall in Type A, but those fathers or mother is domiciled in Maharashtra & have domicile certificate. Candidates, those not fall in the Type A & B but those fathers or mother is a government employee of India & posted in Maharashtra State before last date of submission of application for CAP. Candidates, those not fall in any of the Type A, B & C but those fathers or mother is an employee or retired employee of Government of Maharashtra. Candidates who pass 10th & 12th examination from a recognized board situated in a disputed Maharashtra Karnataka Border Area or from Maharashtra and whose Mother tongue is Marathi. Candidates who belong to a particular Linguistic or Religious Minority Community from Maharashtra & as notified by the Government are eligible under this category. and Kashmir from 1990 onwards due to terrorist activities. The children of officers belonging to Indian Administrative Services (IAS) or Indian Police Services (IPS) or Indian Foreign Services (IFS) and children of staff belonging to military and paramilitary forces transferred to Jammu and Kashmir to combat terrorist activities and joined the post on or before the last date for submission of an application for admission. These types of Candidature Candidates are exempted from appearing for MHT CET 2019. Qualifying Exam: Pass HSC or its equivalent examination from a recognized board. Subjects: Pass the above qualifying examination with Physics & Mathematics as a compulsory subject along with one of the Biotechnology/Biology/Chemistry/Technical/Vocational subjects. Minimum Marks: Pass the above exam with minimum 50% marks (45% marks, in case of Backward class categories and Persons with Disability candidates belonging to Maharashtra State only) in the above subjects taken together. Diploma Candidates: Candidates, those pass Diploma in Engineering and Technology, they can also apply. B.Sc Degree: Those pass B.Sc. Degree from a recognized university as defined by UGC. can also apply. Passed XII standard with Mathematics as a subject. Secure score in MH CET 2019 examination. Secure score in JEE Main 2019 (Paper 1) & MH CET 2019 examination. Qualifying Exam: Pass 12th or its equivalent examination from a recognized board. Subjects: Pass the above qualifying examination with Physics & Chemistry as a compulsory subject along with one of the Biotechnology/Biology/Mathematics subjects. Qualifying Exam: Pass Diploma in Pharmacy from the Institution affiliated to state board & having approval or competent central authority and State Government. Secure minimum 50% marks in MH CET 2019 examination. Note: For Mining Course, female candidates are not eligible. MHT-CET 2019 syllabus is provided every year by the DTE, Maharashtra. Government of Maharashtra is the authority to organize the MHT-CET (Maharashtra Common Entrance Test). It is a state level entrance test for providing admissions in engineering & technology, agriculture and pharmacy courses and full time degree course in Pharm.D. Candidates can get admission in the offered courses by various government and private colleges of Maharashtra state. Numbers of candidates apply every year for this exam and gets qualified. 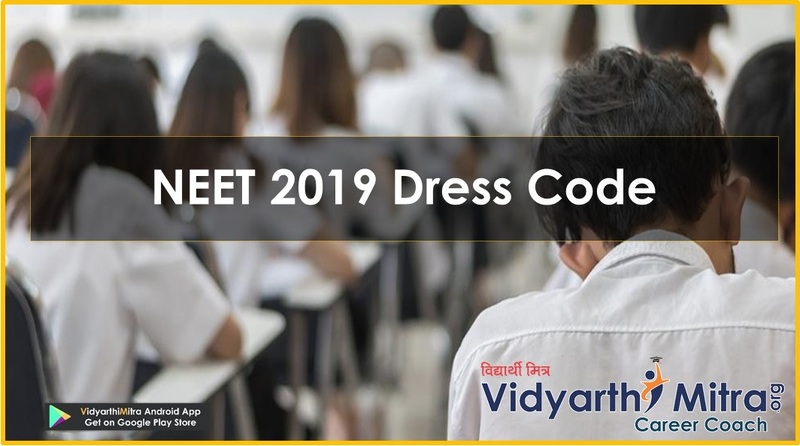 In this article, candidates can check the complete MHT-CET syllabus 2019. MHT-CET 2019 syllabus comprised of Physics, Chemistry, Biology (Botany & Zoology) and Mathematics subjects. 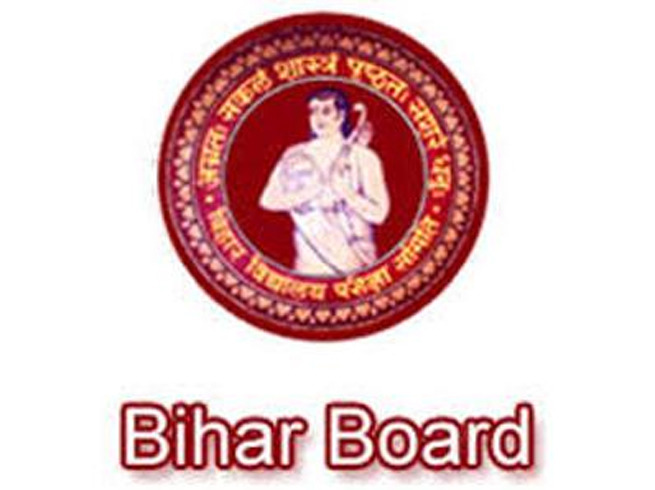 The syllabus is comprised of class 11th & 12th. The syllabus is the same as for the HSC/12th examination of HSC Board of Maharashtra. Measurements, Scalars and Vectors, Force, Friction in Solids and Liquids, Refraction of Light, Ray Optics, Magnetic Effect of Electric Current, Magnetism. Projectile Motion, Sound Waves, Thermal Properties of Matter, Electrostatics, Current Electricity, Electromagnetic Waves Circular Motion, Gravitation, Rotational Motion, Oscillations, Elasticity, Surface Tension, Wave Motion, Stationary Waves, Kinetic Theory of Gases and Radiation, Wave Theory of Light, Interference and Diffraction, Electrostatics, Current Electricity, Magnetic Effects of Electric Current, Magnetism, Electromagnetic Inductions, Electrons and Photons, Atoms, Molecules and Nuclei, Semiconductors and Communication Systems. Some Basic Concepts of Chemistry, , States of Matter: Gases and Liquids, Redox Reactions, Surface Chemistry, Nature of Chemistry Bond, Hydrogen, s-Block Elements (Alkali and Alkaline Earth Metals), Basic Principles and Techniques in Organic Chemistry, Alkanes. Structure of Atom, Periodic Table, Chemical Equilibrium, p-Block Elements, Alkenes, Alkynes, Aromatic Compounds, Environmental Chemistry, Solid State, Solutions and Colligative Properties, Chemical Thermodynamics and Energetic, Electro-chemistry, Chemical Kinetics, General Principles and Processes of Isolation of Elements, p-Block elements Group 15 elements, d and f Block Elements d-Block Elements, Coordination Compounds, Halogen Derivatives of Alkanes (and arenes), Alcohols, Phenols and Ether Alcohol, Aldehydes, Ketones and Carbooxylic Acids, Organic Compounds containing Nitrogen. Biomolecules Carbohydrates, Polymers and Chemistry in Everyday Life. Trigonometric Functions, Trigonometric Functions of Compound Angles, Factorization Formulae, Straight Line, Circle and Conics, Sets, Relations and Functions, Sequences & Series, Probability. Measurement of Angles, Locus, Vectors, Linear In-equations, Determinants, Matrices, Logarithms, Complex Numbers, Permutations & Combinations, Mathematical Induction and Binomial Theorem, Limits, Differentiation, Integration, Statistics, Mathematical Logic Statements, Matrices, Trigonometric Functions, Pair of Straight Lines, Circle, Conics, Vectors, Three Dimensional Geometry, Line, Plane, Linear Programming Problems, Continuity, Differentiation, Applications of Derivative, Integration, Applications of Definite Integral, Differential Equation, Statistics, Probability Distribution and Bernoulli Trials and Binomial Distribution. Diversity in Organisms, Biochemistry of Cell, Water Relations & Mineral Nutrition, Plant Growth & Development. Organization of Cell, Animal Tissues, Human Nutrition, Human Respiration. Diversity of Living world, Structure and Function of Cell, Structural Organization in Plants and Plant Physiology. Diversity in Living world, Structure and Function of Cell, Structural Organization in Animals and Human Physiology. If you have any other queries about MHT-CET 2019 Syllabus, you can leave your comments below in the comment box.